The Ta-152 H-1 was the initial production version and they were nearly all assigned to one unit, JG 301. It had superb speed and the ability to out run and out maneuver almost everything in the sky. 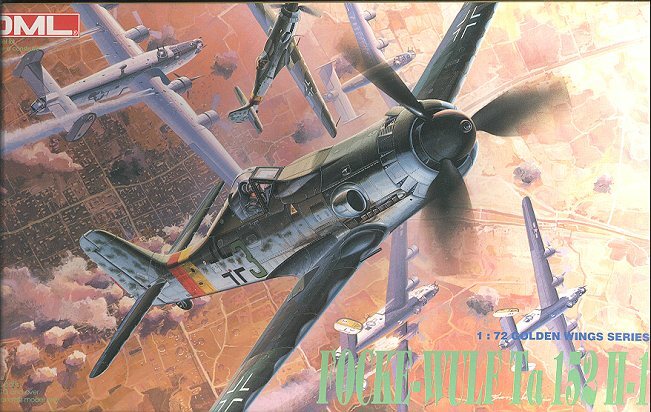 It is a shame for the Germans that it came along so late as it was easily the best piston-engined fighter that the Luftwaffe had. People have a love/hate relationship with Dragon kits. On one hand, they are usually superbly detailed and accurate. On the other hand, the fit is usually, shall we say, quite challenging. Just looking at the sprues above gives you an idea of what I mean by this. Look at all those parts. There is even a relatively complete engine as it is quite visible from inside the wheel well. Dragon even gives you a nice wing spar to help keep those long wings from being warped. It is every bit the epitome of a 1990's kit. Lots of detail, engraved panel lines, teeny parts and even a small fret of etched metal (not shown). The canopy is a two part affair so that you can display the detailed cockpit. 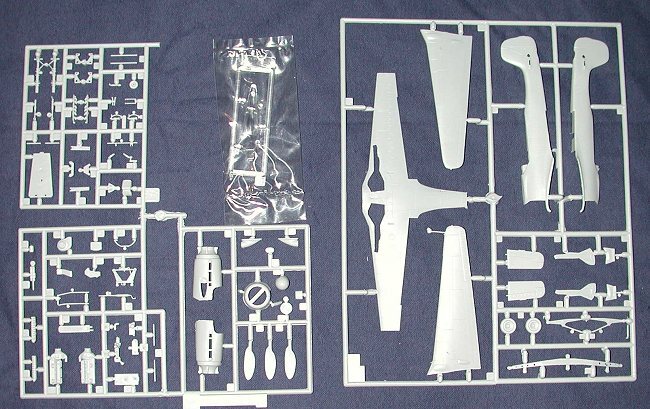 The instruction sheet is quite complete and very much like that offered in Hasegawa kits. The usual parts diagram and color chart which references Gunze paints. 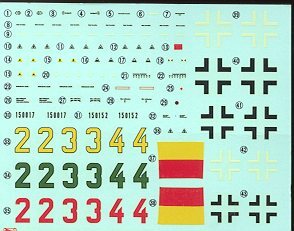 The decal sheet provides for basically one aircraft from JG.301, and while it shows Yellow 3, there are also numbers on the sheet for one in the red and green range as well. The small sheet even includes a large number of stencils. Optional wing crosses are also given, though you'll have to find your swastikas somewhere else. Colors for the camouflage scheme are given as some standard US FS 595 paints, but we all know that it should be late war colors of RLM 81/82or83 upper with RLM 76 lower. It is best to use your references when painting this one. I have seen this kit built before and it can be done into a really superb kit. It will take all your patience and skills to turn it into a masterpiece. For this reason, I cannot recommend it for all modelers, just those with intermediate or better skills.